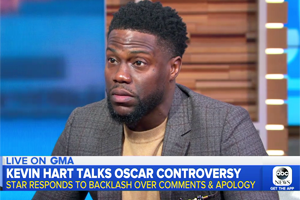 Showing 1 - 9 of 9 articles tagged "Michael Strahan"
Good Morning America's third hour, which usually airs after Live with Kelly and Ryan, has been averaging 1. "There's nothing I would have done differently," he said two years after his exit for GMA. A source tells Page Six: “ABC News asked Strahan to come home from his vacation.